The bathroom is often an overlooked room in the house when it comes to decoration, but it shouldn’t be neglected. 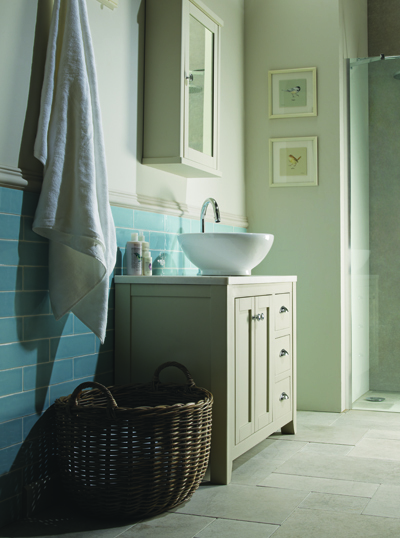 Why not create a calming atmosphere and embrace some country style chic for your bathroom? You don’t have to live in a countryside cottage – this look can be achieved in almost any home, be it a small flat or a house in the city. Invest wisely in furniture such as the Marlborough range , with its classic good looks and timeless shaker styling Marlborough really is a great starting point for achieving the country look. The details of this design speak for themselves with traditional 5 piece doors and high quality chrome fittings. The range is available in two options – pale solid oak with real wood veneer or a muted cobblestone finish featuring visible hand brushed strokes. 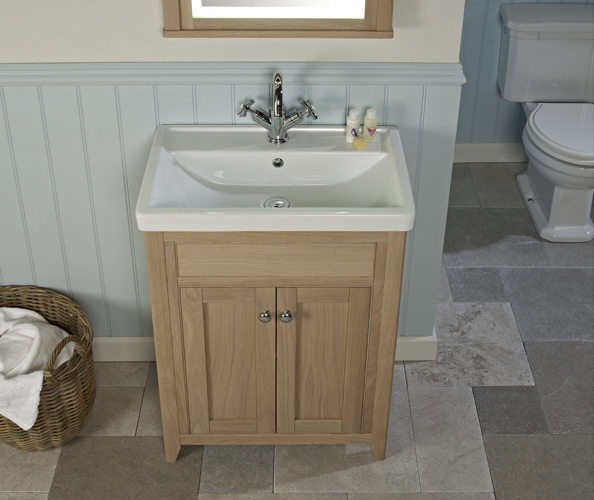 Depending on the space you have available and the look you are aiming for, chose from two basin unit options. 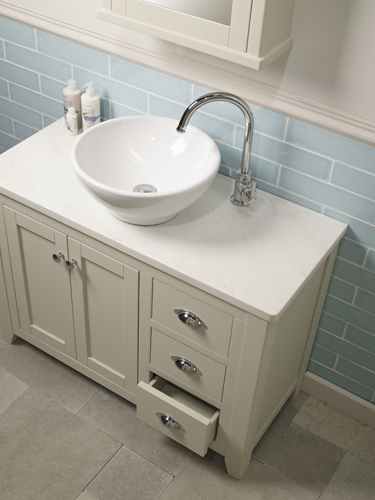 A compact yet spacious 600mm freestanding unit and or for the ultimate in country charm there is a luxurious 1000mm unit finished with a worktop in honed marble or granite and topped with a vessel basin. Experiment and play around with the use of mirrors in your bathroom. Placing a large mirror above the sink will give the illusion of space and maximise natural light. 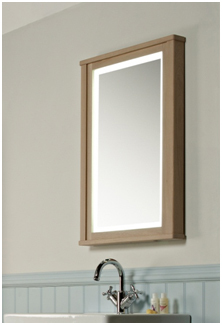 Why not try the coordinating Marlborough illuminated mirror? Not only does it reflect light around the room but it will also open up dark areas. If its additional storage you require, why not opt for the Marlborough mirrored cabinet. 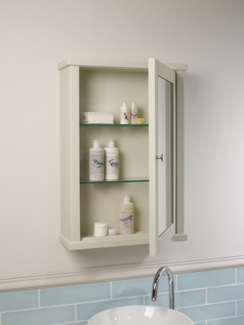 With its two internal glass shelves it is a perfect way to de-clutter your bathroom from all those bottles. Pull out all the stops and go for a freestanding bath as the centrepiece to the bathroom. It can really help pull this look together as a country style bathroom is nothing without a beautiful bath. 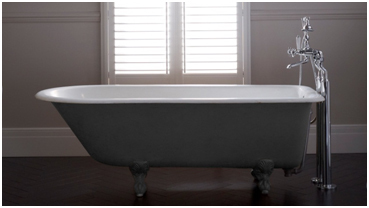 There are many roll top baths available or why not check out your local reclamation yard to see what original baths they have in stock as they can easily be re-enamelled or repainted to suit your new décor. 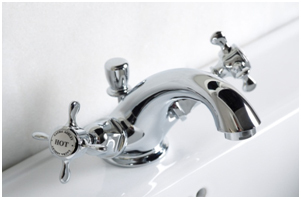 Traditional style taps are perfect for complementing the Marlborough furniture. Depending on your style, why not take a look at the Clifton and York ranges of brassware from the Laura Ashley Bathroom Collection, both classically elegant designs which are packed with appeal. If you opt for a free standing bath, then the Clifton range has standpipes which can be used with the bath shower mixer. When it comes to choosing the colour scheme for your bathroom opt for a muted palette of duck egg blues off-set by neutral shades. This will enhance the feeling of space and create a calming, relaxing bathroom with an altogether fresher look. A softly tumbled tiled floor, flagstones or painted floorboards complete the look. Adding light to your space will instantly change the feel of the room. The Porter wall lights would work really well to give that cool country chic feel to the room and will perfectly frame your basin unit. 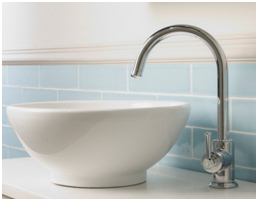 Accessories will add personality and a sense of warmth to your bathroom and give that perfect finishing touch. 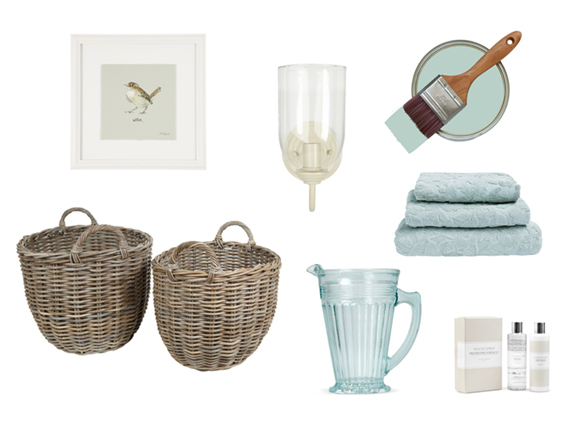 Why not pile up Indulgence sculptured blossom towels in Kubu wicker baskets and add a Seaspray pressed glass jug, the Wren sketch framed print and Porter wall lights. Visit the Laura Ashley Bathroom Collection to browse the full range or find your nearest stockist.